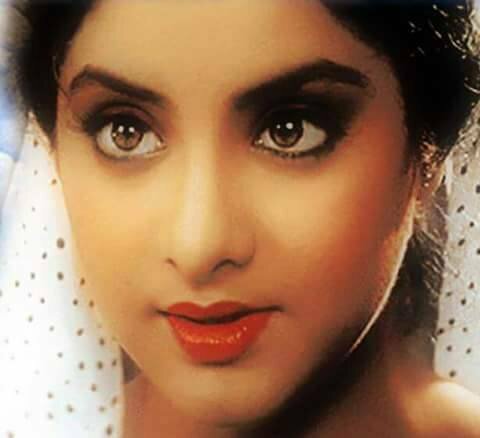 Bollywood once has a beautiful and extremely talented actress whose name was Divya Bharti. Married to today’s renowned producer, Sajid Nadiadwala, Divya had debuted with Shah Rukh Khan in Deewana (1992). Divya was the Saat Samundar Paar wali girl, who stole thunder in the 90s. She was a fiercely talented woman who acted over 14 films in two years of her career and acted with best of the superstars of that time. Dying a very mysterious death at the age of 19, she’s still remembered for a her innocent and beautiful screen presence. 1.Divya was also known as Sanah Nadiadwala after her wedding. 2.She was married to producer Sajid Nadiadwala. 3.She started getting offers for films at the age of 14. 4.She died at the age of 19 on April 5, 1993. 5.She acted over in 14 films, the best record of a new comer so far. 6.She died after falling from the balcony of her Versova apartment. 7.She studied uptil ninth standard. 8.She made her debut opposite SRK in Deewana (1992). 9.She refrained from skin show on celluloid. 10.She was labelled unprofessional when her career was ending.